As a Grower on the AgriDigital network, once you have set up your AgriDigital account, you can log in and view all your Invoices from Buyers who are using the AgriDigital platform. 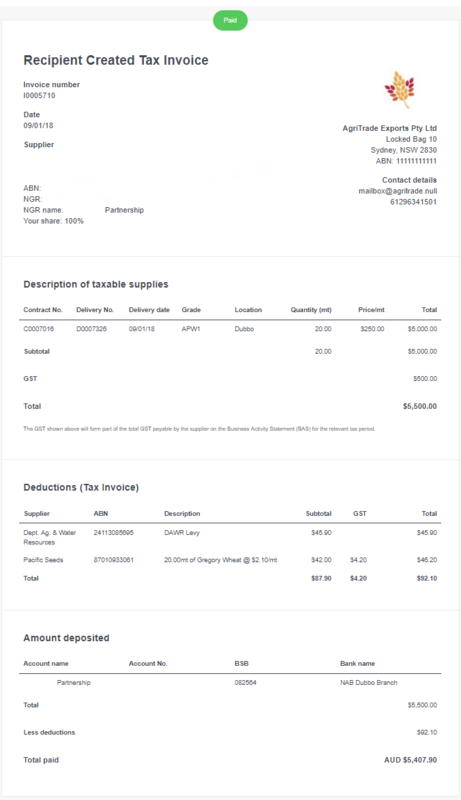 You can also print these Invoices should you need a hard copy. Below is an example of an AgriDigital RCTI to show you the format you will receive from the AgriDigital. You can read more on your AgriDigital RCTI's on the Knowledge Base article below.